The supposedly simple task of programming a simple Altera CPLD took me a few days to resolve. Here’s what I learned. There’s no Open Source toolchain for Altera. So you must download the multi-GB Quartus Lite software. After installation, I followed the My First FPGA tutorial which mostly worked ok (apart from the ‘Megawizard Plug-in Manager’ thing). Pin mappings are of course different, but I found the schematic for the EPM240 minimal development board. One can easily see that there’s one on-board controlable LED connected through PIN 77. The big trouble began, when I wanted to flash the design to my devboard. Sometimes jtagd segfaults or otherwise crashes. I couldn’t figure out why. Then I learned more about JTAG and discovered OpenOCD, which also supports the USB Blaster. The minimal thing you need to know is that you start it with some configuration about which device to use and to which board to connect. It’s then accessible through a telnet prompt on port 4444. And voilà, 16 seconds later, the flash process finished and the example runs! Dass die Verbindung München-Berlin schneller wird, haben alle mitbekommen, aber was heißt das für den Rest? Der Vergleich der alten mit den neuen Reisezeiten von München aus, macht einem sofort klar, dass das Verkehrsprojekt Deutsche Einheit seinem Namen alle Ehre macht. Praktisch jede Reise die in den neuen Bundesländern beginnt oder endet profitiert von schnelleren Verbindungen. Im folgenden eine interaktive Karte. Im Menü lässt sich einer von 8 Startbahnhöfen auswählen. Die Karte zeigt die Änderung der Reisezeit zum Fahrplanwechsel für jeden Zielbahnhof in Deutschland. Weiße Bereiche haben keine oder nur geringfügige Änderungen, in grünen verkürzt sich die Reisezeit, bei roten wird sie länger. The ESP8266 is supposed to consume only 20μA in deep sleep mode, making it totally awesome for sensor projects that sleep most of the time and then upload their data using wifi. The AMS1117 voltage regulator has an idle power consumption of about 4mA. This reduces my battery life by a factor of 200! The onboard CH340 USB-to-serial converter takes another 200μA. 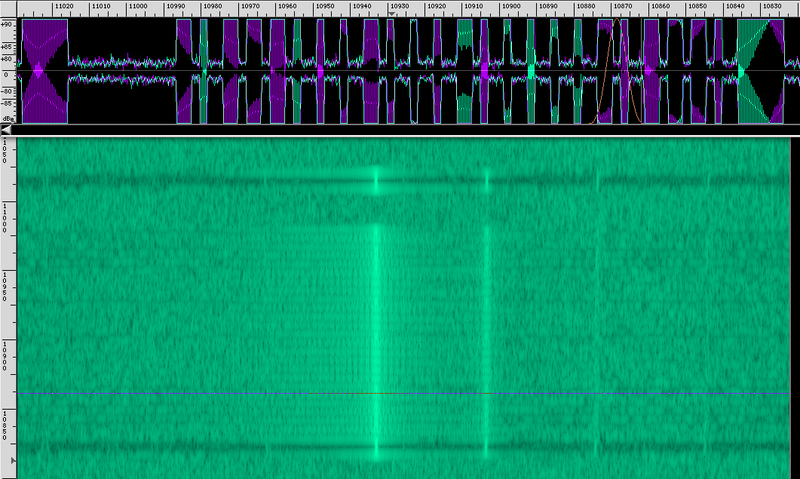 I unsoldered the AMS1117 (spot marked in red) completely. You could probably get away by just removing it’s ground connection or 3.3V. I haven’t tried, let me know if you have! I didn’t unsolder the CH340 chip on the left, instead I only unsoldered the ground pin (bottom right in the picture) and bent it up. Measuring the power consumption, my multimeter now shows 19μA, woohoo! Since the voltage regulator is gone, the board now needs an external power supply. 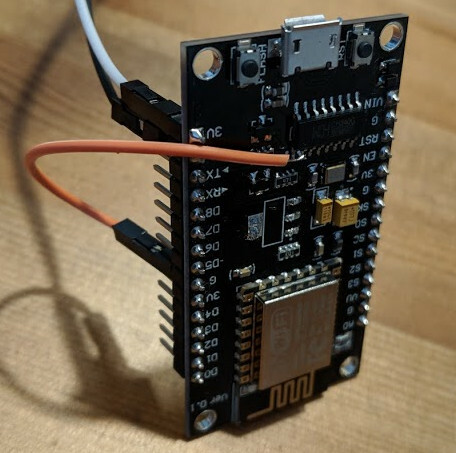 I just used another NodeMCU board connecting the 3.3V and Ground pins (as in the picture above). The AMS1117 on the other board is able to provide 1A of current, so that’s plenty to power both. The drawback of unsoldering the CH340 however is that the chip cannot be easily accessed or programmed anymore via USB. Not a big deal if you already flashed a Wifi-enabled OTA-capable firmware. But if that’s not the case, here’s a really easy hack: just solder a dupont cable to the bent-up ground pin of the CH340. 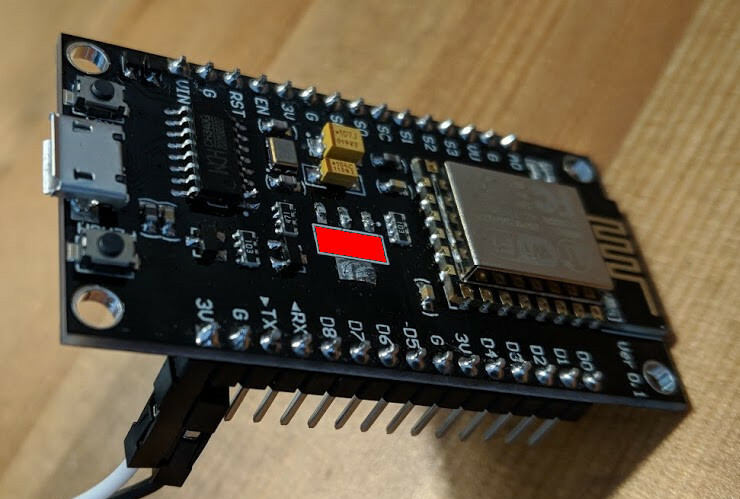 You can then easily plug it back into any of the exposed ground pins on the nodemcu board to recover full USB support of the device. Awesome! STM8S chips are probably the cheapest microcontrollers that you can get. A single chip from ~20¢, or on a board with pins, a button and LED ~60¢. Can’t really beat that. There’s an OK toolchain for development on Linux consisting of the small devices c-compiler (sdcc) and stm8flash, a free driver to work with the proprietary stlink devices which you needed until now to be able to flash STM8S MCUs. Enter esp-stlink: a free and open-source implementation of the SWIM protocol that’s used by stlink devices to interact with the microcontrollers. It runs on the popular ESP8266 microcontrollers. The software comes with an updated version of stm8flash, so it’s very easy to integrate into your existing workflow. esp-stlink thus fills the missing link for an open STM8 development toolchain.